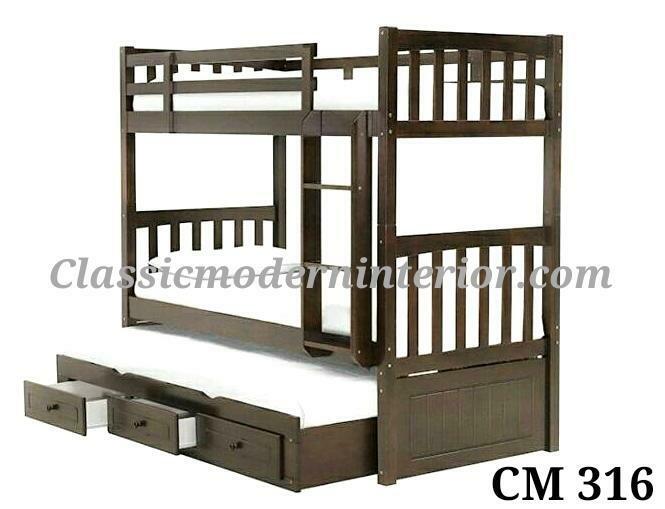 CM 316 Double Deck with Trundle Bed Frame. Solid wood made in Malaysia. With drawers for extra storage.